The Worshipful the Mayor of Barnsley, Councillor Linda Burgess officially opens the Barnsley Construction Skills Village. 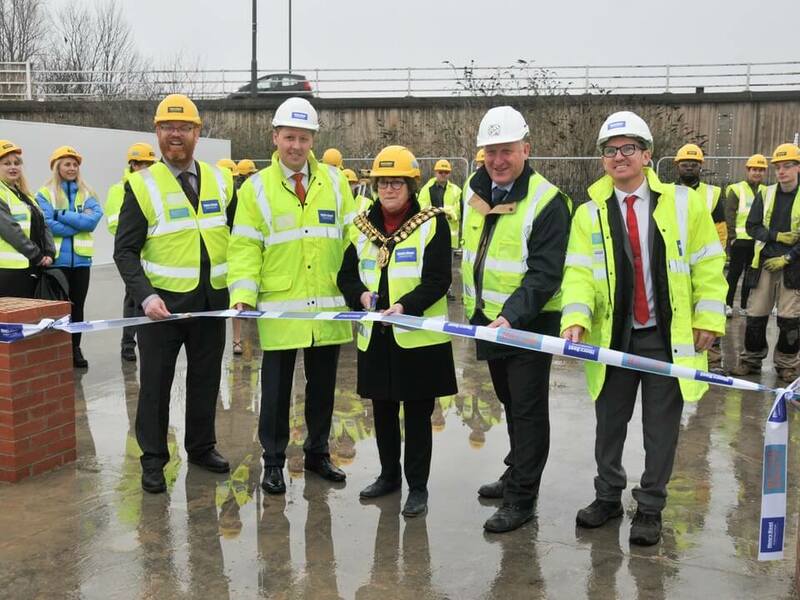 The Worshipful the Mayor of Barnsley, Councillor Linda Burgess, officially opened the new Construction Skills Village in Barnsley at a launch event on Monday 30 January. The new Skills Village is a collaboration between Henry Boot Construction, Northern Regeneration, Barnsley College and Barnsley Council and is a result of Barnsley Council’s £100m investment in the Better Barnsley town centre redevelopment. The redevelopment is aimed at creating a brighter future where people achieve their potential and a better Barnsley with a thriving and vibrant economy that supports the creation of more and better jobs and good business growth, which are key priorities for the council. The launch event began with a welcome by the Operations Director of Henry Boot Construction, Tony Shaw, and Managing Director at Northern Regeneration, Graham Ratcliffe. Both Tony and Graham explained in further detail why the Skills Village was created and how it will help close the skills gap within the construction industry by providing the people of Barnsley with the opportunity to gain practical construction related skills in order to make them ‘work ready’, whilst also supporting the construction skills required for the Better Barnsley town centre redevelopment. 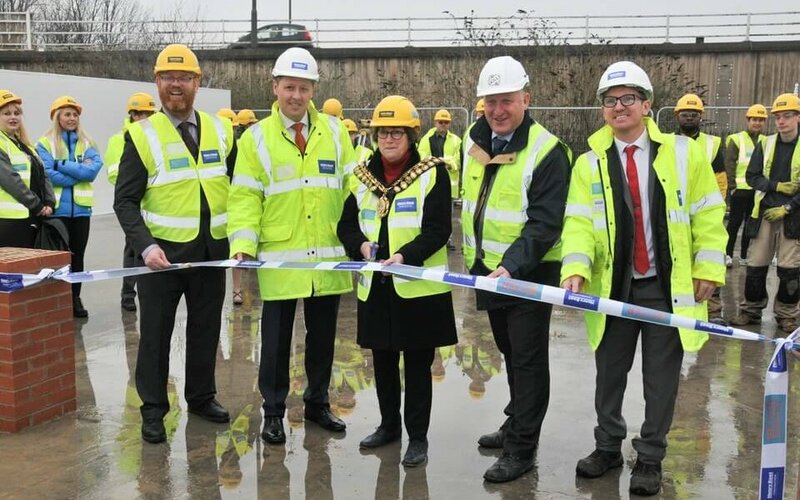 The Worshipful the Mayor of Barnsley, Councillor Linda Burgess, then officially opened the Skills Village in a ribbon cutting ceremony which was followed by a tour of the site. Guests had the opportunity to see Barnsley College students working on training areas around the site on activities such as brickwork, surveying and joinery. The Mayor spoke to the students to find out how the Skills Village is helping to equip them with the necessary skills required for a successful career within the construction industry. 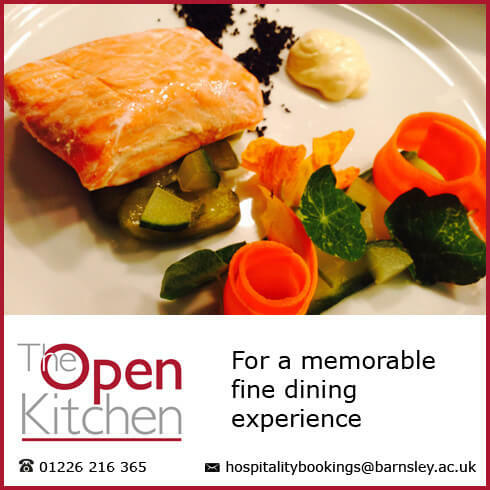 The Skills Village also provided an opportunity for students from other departments at Barnsley College and University Campus Barnsley (UCB) to get involved. Alice Firth, HND Graphic Design student at UCB, won the hoarding design competition. Her creative design will now be displayed on the boarded fencing around the site. Catering and Hospitality students provided refreshments for the event and Horticulture students have started to prepare an area of garden space inside the Skills Village which they will eventually landscape.